Bellagio Las Vegas is a resort, luxury hotel plus casino located on the Las Vegas Strip. 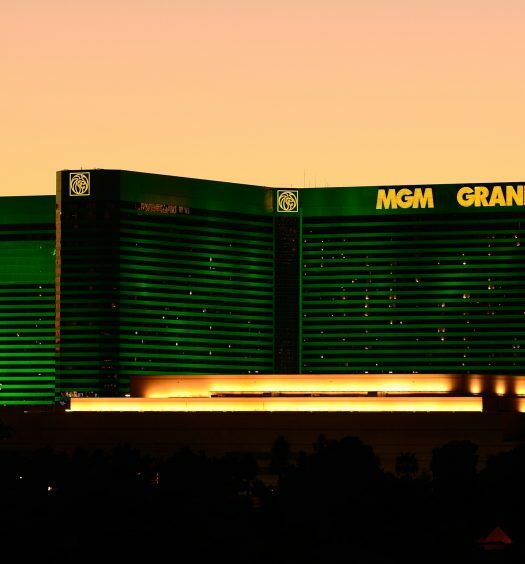 It’s owned as well as operated by a global hospitality and entertainment company called MGM Resorts International. Bellagio was built on the Dunes Hotel site, which was demolished. The resort opened on Oct. 15, 1998, in a ceremony reported to cost 88 million dollars. 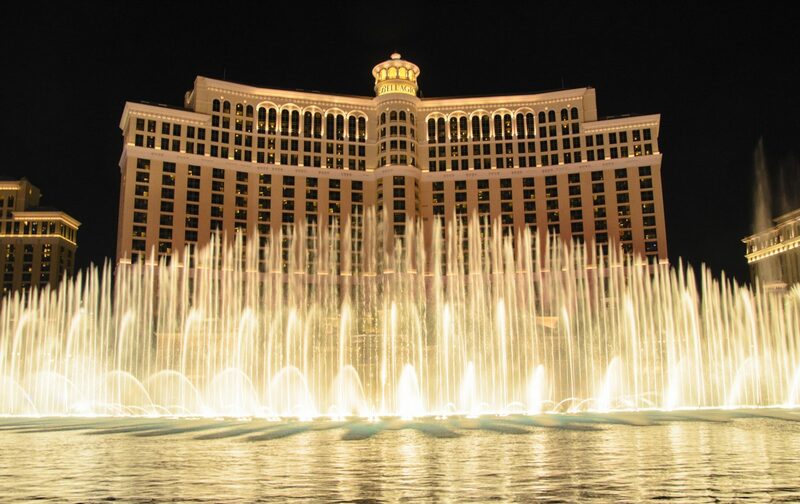 Its dancing fountains are one of the most recognizable sights in Las Vegas. As among the most elegant places where visitors can choose to stay in Vegas, it offers 5-star dining experiences, which includes Picasso, where guests can dine amid the masterpieces of artists. Bellagio was conceived by the art collector and real estate businessman, Stephen Alan Wynn, and Atlandia Design managed the design, construction, plus furnishing of the facility, after the acquisition and demolition of the Dunes hotel, which occurred on Oct. 27, 1993, after the opening of the 30-story Luxor Las Vegas. DeRuyter Butler was the Bellagio’s design architect and the project executive was Peter Smith. Construction on the Bellagio started in May 1996. It had an original design plus construction cost of 1.6 billion dollars. Guests will feel regal as they pull around the huge 8-acre lake housing the Fountains of Bellagio and into the forecourt overshadowed by the looming grandeur of the resort’s façade. Modern features have been beautifully and seamlessly integrated into the traditionally luxurious environs of the resort, a steady stream of refurbishment stream keeping the property fresh and relevant. Now they are boldly colored striking retro furnishings amid the marble and beautiful glass chandeliers plus trendy artworks that liven up the touches of the neoclassical Roman interior design. As a guest, you are located midway along the Las Vegas Strip and set back a nice distance from the crowds of tourists, the huge fountains and pool providing an aesthetically pleasant buffer between the resort and the street. This is simply the best of all Las Vegas worlds. The main tower of Bellagio has 36 floors, 3,015 rooms, and a height of 151 meters. The hotel rooms and suites offer the perfect blend of elegance and beauty and will elevate visitor’s stay. The entry-level rooms are the Resort King and the Fountain View King, the main difference between the two being a garden or fountain view. The choice of color scheme is between a bold dark blues palate or gold and cream. The eucalyptus wood and marble foyers furnishings are classily framing both accommodations, which have all been modernized just recently. The elevated touches include beautifully illuminated dressers plus wardrobes and the reassuringly decadent marble bathroom, well stocked with Lanovera toiletries. The hotel’s size means that the rooms are located in different towers; however, the consistency when it comes to quality is really admirable. The Spa Tower opened on Dec. 23, 2004, and it’s standing to the south of the original tower. It has a height of 119 meters, 33 floors, and contains 935 rooms. With a goal to pamper guests in their spa, salon, and fitness center, this resort offers an award-winning beauty oasis. 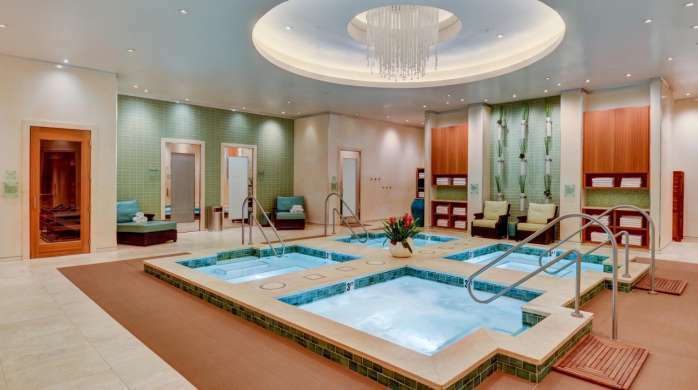 The Spa facility includes three whirlpools, cold plunge pool, sauna, and steam room. There are showers plus all the amenities needed. Also, the spa offers an array of teas, water, and coffee. Guests can enjoy this for a day or even buy a multiple day pass. Bellagio is also home to elegant alternative venues for events and parties, such as restaurants, lounges, and outdoor spaces. When it comes to planning conventions, meetings, and events, a Bellagio Las Vegas change of scenery is unique and refreshingly accommodating. With an abundance of phenomenal venue options, including intimate galleries, inviting ultra-lounges, and award-winning dining establishments, as well as an excellent selection of services, Bellagio Las Vegas is undoubtedly the location to guarantee your event’s success. Visitors can add a unique experience to their Vegas vacation by going to one of Bellagio’s clubs, lounges, and bars. 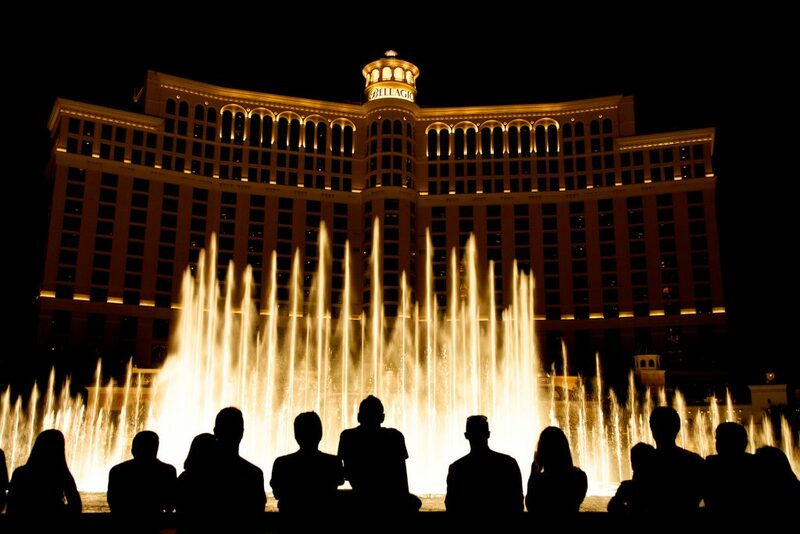 Hyde invites visitors to experience the nightlife while overlooking the marvelous Fountains of Bellagio. Guests can also partake in the stylish, sleek atmosphere of Baccarat Bar and make their night come alive by listening to classic jazz sounds. 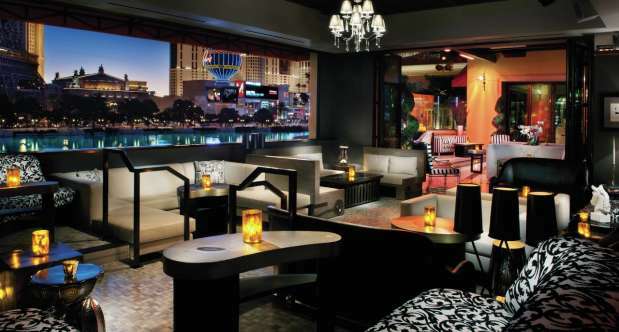 Lily Bar & Lounge is definitely a refreshing alternative to the usual high Vegas nightclubs. Here, guests can enjoy inspired music mixed by highly experienced top DJs and a unique seasonal cocktail menu. Those who love sports can go to Sport Book & Bar, where they can get into the action of their favorite sports while enjoying the beverage of their choice when they visit the betting arena. The Fountains of Bellagio show is an enormous, choreographed water feature at Bellagio with performances set to music and light. The performances are visible from various vantage points on the Las Vegas Strip, both from the neighboring structures and the street. This show takes place every half an hour in the afternoons as well as early evenings, and also every 15 minutes between 8 p.m. and midnight. On Sundays, the show starts at 11 a.m. and runs every 30 minutes until 7 p.m. The Cirque du Soleil show called ‘O‘ can also be found in the resort’s theatre. Guests can also visit the wonderful Bellagio Gallery of Fine Art for a higher brow experience. Luxury shopping in Vegas has never been presented to this large degree. From Bellagio signature shops to designer boutiques, there is certainly something for everyone. This includes Bottega Veneta, Bella Donna, Breguet, CHANEL, CAPRI, Cirque du Soleil, Dior, Essentials, FENDI, Giardini Garden Store, Gucci, Guerlain, Harry Winston, Louis Vuitton, Hermès, Newsstand, Omega, Optica, Platino, Richard MacDonald, Platino Prada, SJP by Sarah Jessica Parker, Tesorini, Tiffany & Co., Tutto, and Valentino. Maverick Helicopters – It offers the most diverse and exhilarating helicopter experiences in Vegas. Transportation – Bellagio has a wide variety of vehicles for guest to use and explore all that Vegas has to offer. Pools & Cabanas -The resort boasts the best pool selection in Las Vegas, with indulgent cabana plus day bed options aplenty. Golf – The resort presents the upper echelon of Vegas golf, sure to indulge a visitor’s love for the game. Beautifully designed, the 116,000-sq.ft. gaming space is spread all around the floor. The most popular games have been grouped into their individual section. There are many pit areas for table games and high limit sections for various games. The lowest minimums at Bellagio are at the 15 and 25-dollar tables, but you can find the occasional 10-dollar games. Those who would like to play other blackjack variations, they can play Free Bet Blackjack or Blackjack Switch at $15 per hand. Guests who only want to play for friendly admits, there’s a 5-dollar virtual game in the slots. This is one of the popular games at Bellagio and has its own section on the floor. You can play regular Pai Gow with 25-dollar minimums, with Pai Gow Plus and Fortune Pai Gow offered at 15 dollars. Standard double zero roulette is the most common roulette game at Bellagio, which has a $15 minimum. European Roulette (single zero) can be found on the main floor for 100 dollars. There is also a virtual roulette that has a live wheel in the slot section. The poker room at Bellagio is one of the city’s largest and most luxurious. Most professional poker players prefer playing at this poker room, and they call it “The Office” or their home base because it has high table limits. This includes the high-stakes Big Game found at “Bobby’s Room,” which was named after the professional poker player Bobby Baldwin. During the Big Game, the stakes can range up to 4,000/8,000 dollars, and are often frequented by such poker professionals like Jennifer Harman, Daniel Negreanu, and Doyle Brunson. The post during the Big Game can far exceed one million dollars. 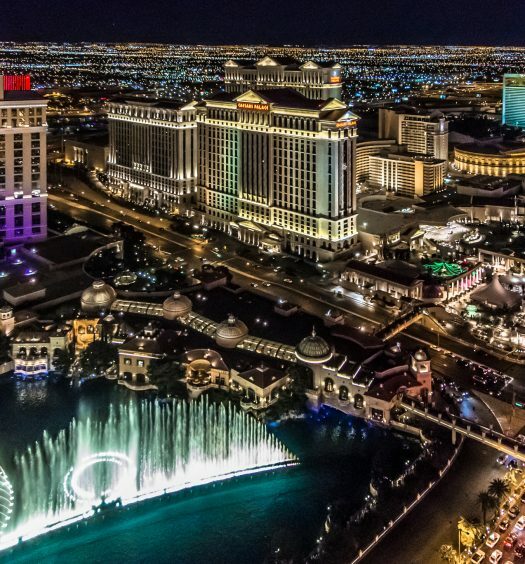 Also, Bellagio has partnered with the WPT (World Poker Tour), an internationally televised gaming plus entertainment brand, to host some of their tournaments. Middle-limit tables at Bellagio have their own slightly raised separate area that’s set away from the casino’s main floor. The area is spacious, plus it has its separate player check-in podium. The poker room at Bellagio offers daily no-limit hold ’em tournament at 2:00 p.m. and the structure is 100 + 25 dollars buy-in and 10,000 starting stack plus 30-minute levels. Over 2,300 variations of slot machines and video reel games are spread all around the floor with jackpots and progressives growing into millions. The wager for slot machines start at one penny and progressively reach one dollar. As you get near the high limit section, you’ll find machines for 5 and 10 dollars on the main floor. There’s a huge selection of slot games for different types of players. Located near the buffet and behind the craps tables, the high limit slot machines are isolated with their own entrance. Here, players can go big time. The limits start at 5 dollars but work their way gradually to 100, 500, 1000, and even 2,000 dollars a pull if you are playing multiple credits. Bellagio is home to one the greatest sportsbooks. It is active every night and is always filled up during major sporting events. The sportsbook is located behind the poker room and offers a lot of seating. On the far right side, there are many leather club chairs to go with many sections of club chair and couch seating in the middle. The racebook is on the left-hand side; it’s equal to the sportsbook size, and there you will find lots of long rows of desk space, which are seating with their own television. There numerous televisions, including multiple giant screens. Also, the picture and sound quality are excellent. The betting board is huge and located on the side wall. The PlayMGM sports betting application offers live betting on all events. The hotel encompasses about 20 dining options, which include coffee stands and some of the city’s highest-end restaurants. There are a total of 14 restaurants inside Bellagio. The standout is apparently the artistic refinement of Picasso; guests have a rare opportunity of dining in spectacular full view of the original works by artists. Le Cirque is also elegant, and they all offer gourmet French cuisine. There is a wealth of choices below these two top-tier places with Yellowtail, Harvest, and Spago, all with appetizing contemporary menus. Poolside bars, cafés, and juice bars also mean that you are never far from your favorite casual snack. Bellagio has won the American Automobile Association Five Diamond Award fifteen years consecutively, from 2000 to 2015. Bellagio was the first Las Vegas Strip hotel to be given the award 10 or more times consecutively. Two of its restaurants (Le Cirque and Picasso) have also won the Five Diamond award. Additionally, the hotel is also a member of the LHW (Leading Hotels of the World), which is a consortium of over 375 luxury resorts and hotels in more than 75 countries. Picasso has received 2 Michelin stars. Michael Mina and Le Cirque have each received 1 Michelin star. Bellagio is recognized as one of the world’s top hotels on the luxury travel magazine’s Condé Nast Traveller Gold List. 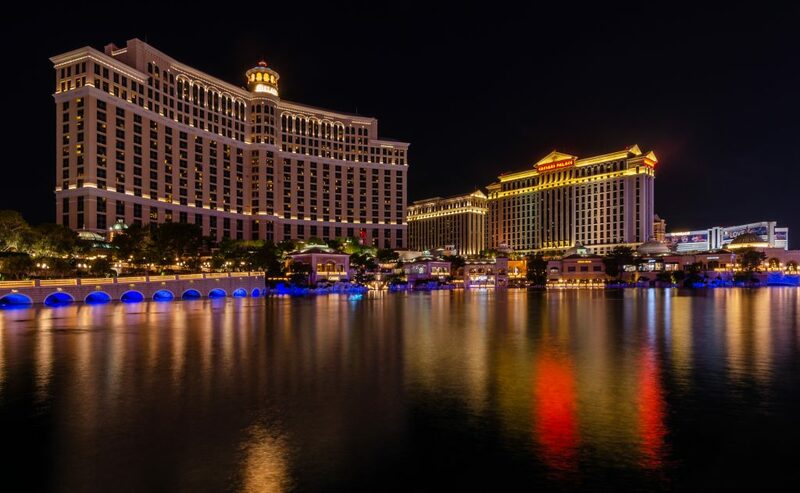 Whether it is entertainment, poker, gambling, food, or you simply need to lounge, the Bellagio Las Vegas brings you the best of the best in the city and worth checking out. They offer a fantastic service, and it is a huge hotspot for tourists and locals, especially high limit gamblers.